This pretty White lavender bag can make a fabulous present and smells divine. Create a sense of calm and tranquillity. Filled with aromatic French lavender, these bags are perfect for placing in wardrobes to keep your clothes smelling beautiful (and to ward off moths). A lovely idea for wedding favours or simply an everyday gift. A visit to a rustic farmhouse overlooking the Bay of Toulon is where The Linen Works all began. The house was well loved, lived in and told a story with pieces to treasure. Its pared-down style and simple yet useful things is what still inspires our creations today. The Linen Works feature a range of linen for the bedroom, table, kitchen, bath, living and more. 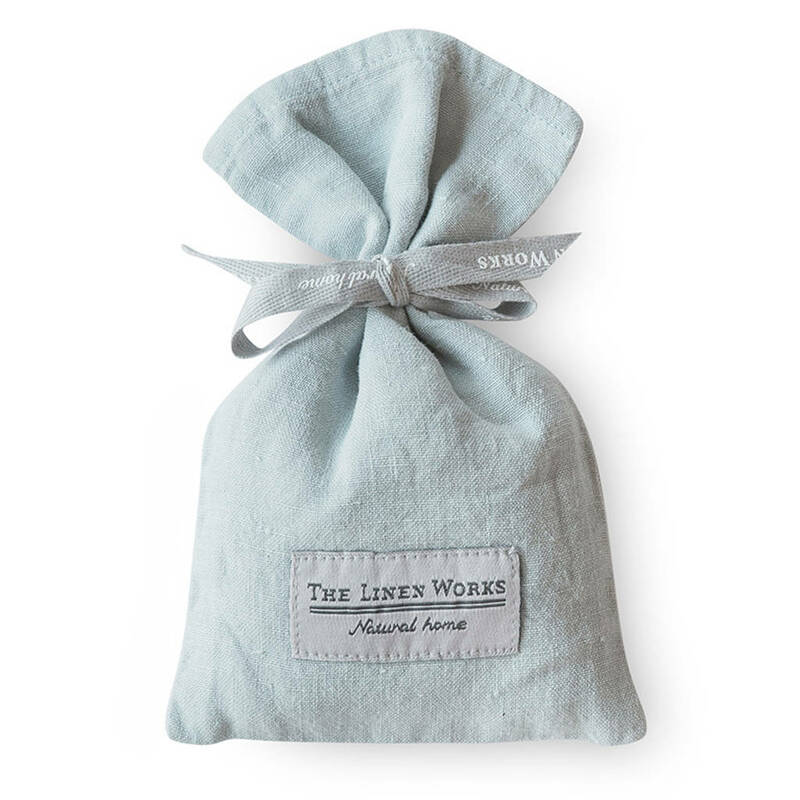 Our Linen Lavender Bags are also available in White, Parisian Blue, Dove Grey, Rose, Charcoal and Ecru. 100% Washed Linen and aromatic French lavender.